German Television: Quarks & Co lays the ground for a good night’s sleep. 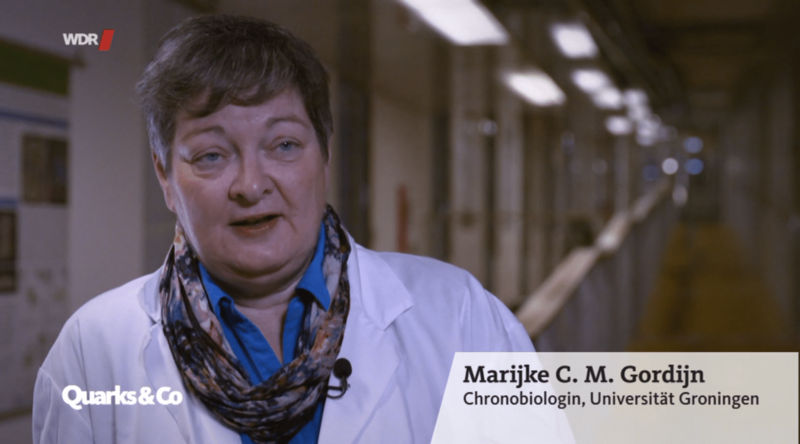 In the WDR Television program of 31st January “Quarks & Co”, a scientific German program, approached several Sleep experts, including Dr. Marijke Gordijn, to discuss the basis for a good night’s sleep. Aspects ranging from when does snoring actually represents a threat for health, the extent to which the blue light of our screens interferes with our sleep, and what we should do or not do to rest at night were considered.